Heritage Water Tanks proudly supplies premium quality steel water tanks for residential and commercial markets in Ti Tree and throughout the Northern Territory, including remote sites such as Cattle Stations. We offer domestic and rural tanks in sizes ranging from 55,oooL to 375,000L. As part of our quality promise, we offer a 20-year Pro-Rata Warranty on all of our water tanks. 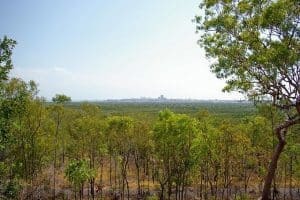 Ti Tree in the Northern Territory has been served by Heritage Water Tanks for many years and we offer water storage solutions to sectors such as residential, agriculture and mining in this wonderful town. The fact that we are Australian manufacturers of water tanks means that the people of Ti Tree can trust us to deliver quality products at fair prices. Some of the areas where we operate include: Darwin, Katherine, Tennant Creek, Dundee Beach and Pine Creek.